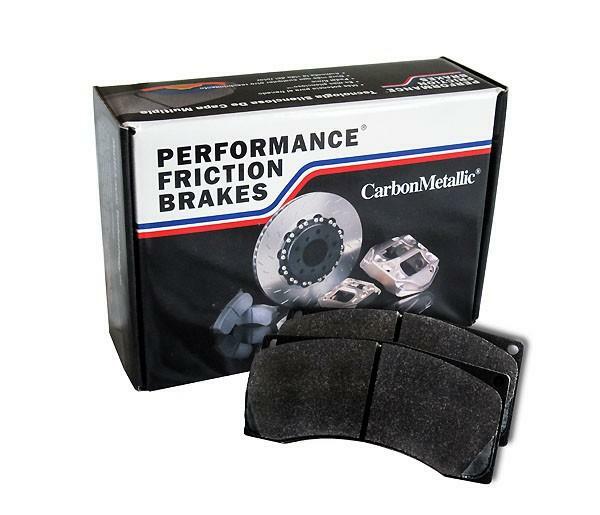 PFC06 Race Pads for Stock Caliper Fitments - Brakeswap.com - Friction for the Win! Performance Friction’s latest racing brake pad compound, the 06, accomplishes an amazing feat: the high bite and torque similar to the popular 01, but with an increased pad life! The PFC 06 Compound is the perfect choice for endurance racers and track-day participants alike. We ran these pads in a 13 hour endurance race and wore less than 1/3 of pad material. This compound is perfect for long life applications like DEs, enduros or the racer who can sacrifice some initial bite for longevity.